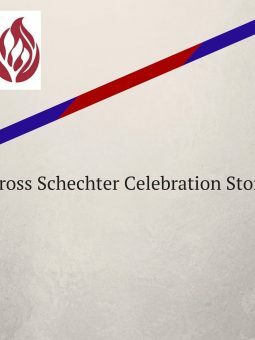 In keeping with our focus on themes of respect, inclusion and the fostering of kehillah (community), Gross Schechter is pleased to announce the arrival of the GSDS Classroom Celebration Store. Please note: All orders are due at least two weeks in advance. Families who wish to celebrate a student’s birthday, classroom celebrations or B’nai Mitzvah Celebration should purchase their celebration treats directly from our school store. We offer a variety of selections (at cost) that are compliant with both the school’s kashrut and peanut/tree nut sensitive policies, while eliminating the burden of extra shopping and checking of ingredient labels for our families. Celebrating simchas has never been easier – or more inclusive! Thank you in advance for helping to ensure all our students are able to share their simchas together! *Please note: If the date you select does not provide two weeks’ notice, substitution of an available treat may need to be made. Additionally, food selection and pricing is subject to change during the year. We recognize the importance and excitement of our students becoming B’nai Mitzvah and celebrate their upcoming simchas in school close to their B’nai Mitzvah dates. To order a special treat for the entire middle school in honor of your child(ren)’s Bar/Bat Mitzvah, please select one of the items below. If you have additional questions, please contact Yuval Rub!